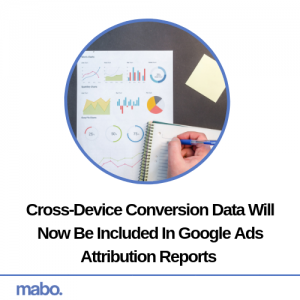 Towards the end of last week, Google announced that attribution reports would now include cross-device conversion data. The search engine has made this decision in order to improve consistency of reporting for advertisers. Now the attribution reports will include metrics such as Conversions Value, Conversions Total and Last Click Conversions. At the moment, cross-device conversion activity can only be viewed in the Devices, Device Paths and Assisting Devices attribution reports. For advertisers, this meant that the conversion metrics they are analysing are inconsistent across different reports. This update can only be a good thing for Google Ads users. It is worth noting however that the cross-device conversion data will only be dated as far back as the 1st of May.